Free Your Voice! Sing your Heart Song! 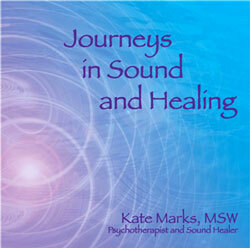 1978-2004 Studies with many sound healers including Paul Newham in Voice Movement Therapy, Tom Kenyon, Jonathan Goldman, Don Campbell, Sylvia Nakkash, Sufi teachers, among many others. 1994-2010 Center for Shamanic Studies with Sandra Ingerman and other medicine teachers including John Perkins, Sun Bear, Rolling Thunder, Brandt Secunda, Brooke Medicine Eagle, O’Shinna Fastwolf, and Dr. Alberto Villoldo of the Four Winds Society. For more information on education and work experience, contact Kate for her complete resumé. Harmonic Journeys is proudly powered by WordPress and BuddyPress. Just another WordPress Theme developed by Themekraft.